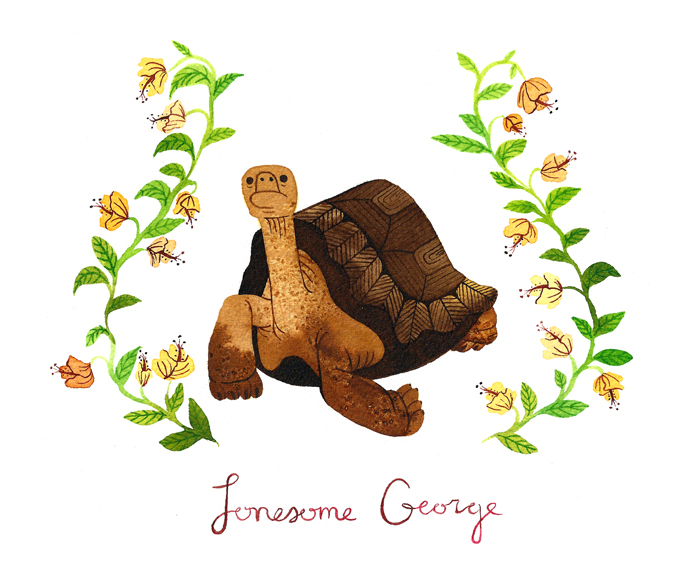 As some of you may have heard, the tortoise Lonesome George died a week ago. He was the last of the Galapagos tortoises from Pinta Island. He was estimated to be over 100 years old, which is actually only middle-aged for his kind of tortoise. Maybe he really was lonely. 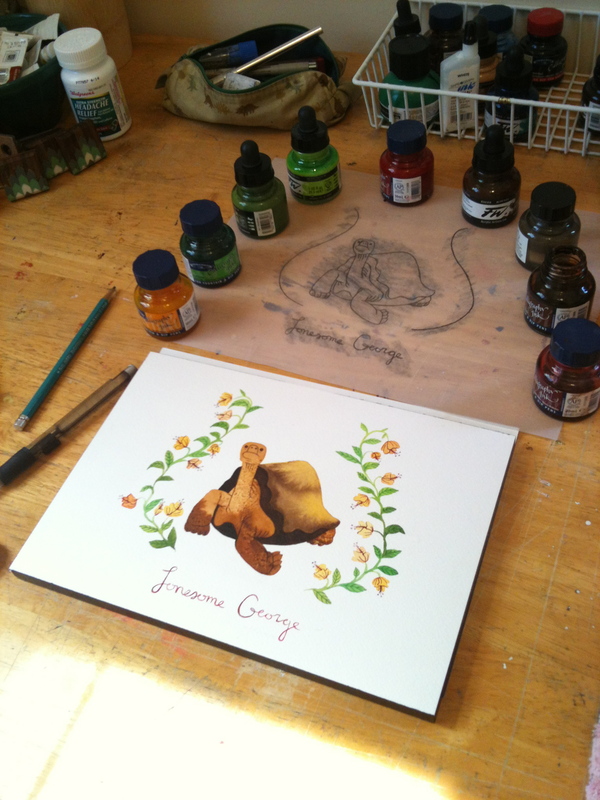 As a quick warm-up before moving on to a more complicated piece, I did a portrait of Lonesome George. Salt made George’s textured skin. 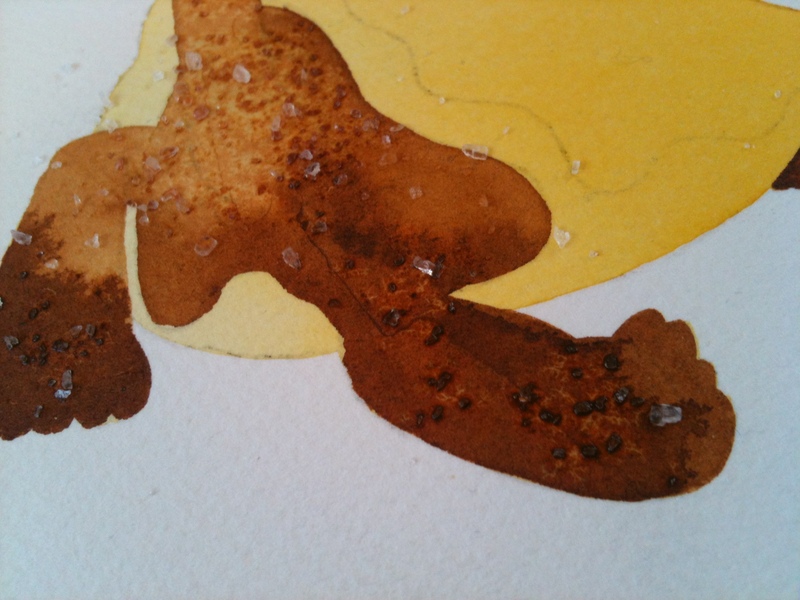 George, nearly finished, with all of the inks I used to paint him. I hope you aren’t as lonely in the afterlife, buddy. If I knew the secret, I’d tell you. But I’m just as baffled! The best guess is that because I’m left-handed, I’m used to dragging my hand through fresh ink while writing if I’m not careful. Sad news about George but you did a great job of picturing him. Oh man, I almost cried when I saw this portrait. I absolutely adore this. You are a truly fantastic artist.